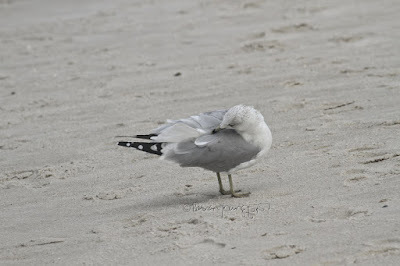 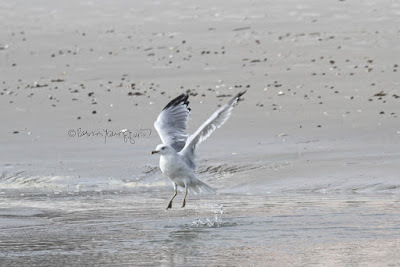 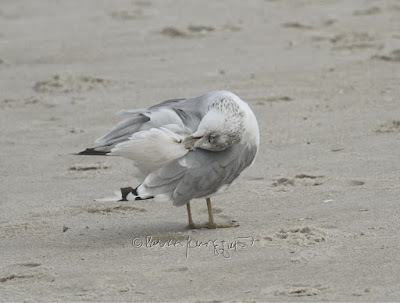 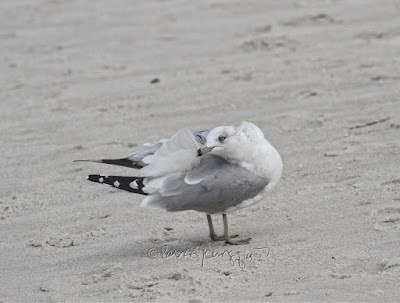 This past Tuesday, in my entry here on Blogger, I discussed a few things related to the visit I made to Long Beach (on Long Island) last Saturday. 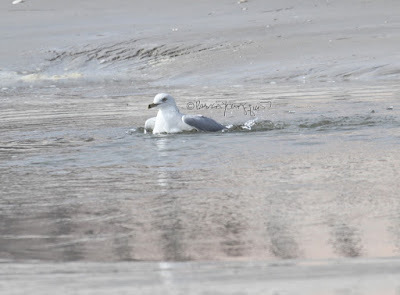 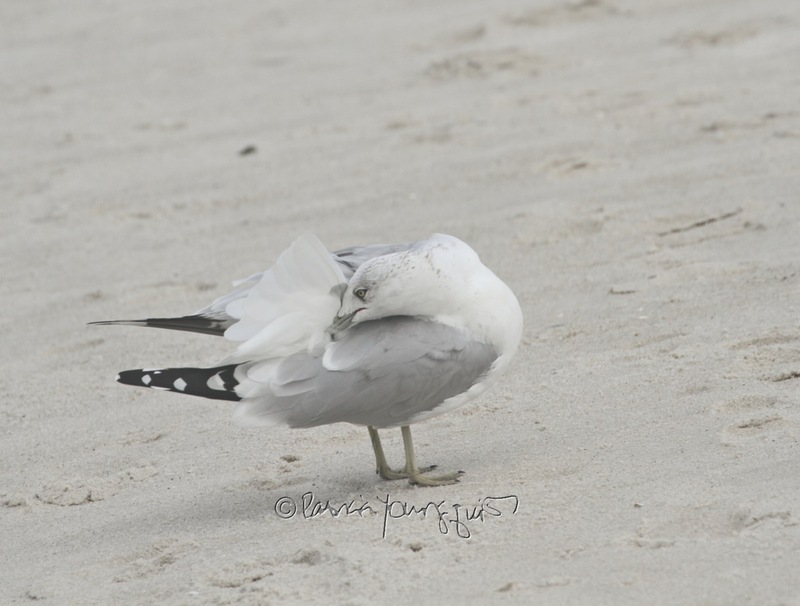 However,I did not mention a unique (to me) sighting that I observed when I was there, which was my seeing seagulls bathing in the Atlantic Ocean. 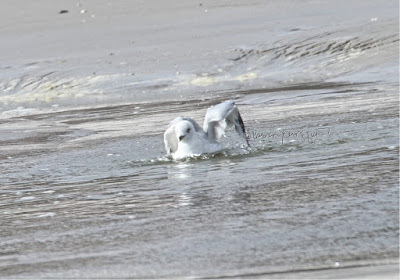 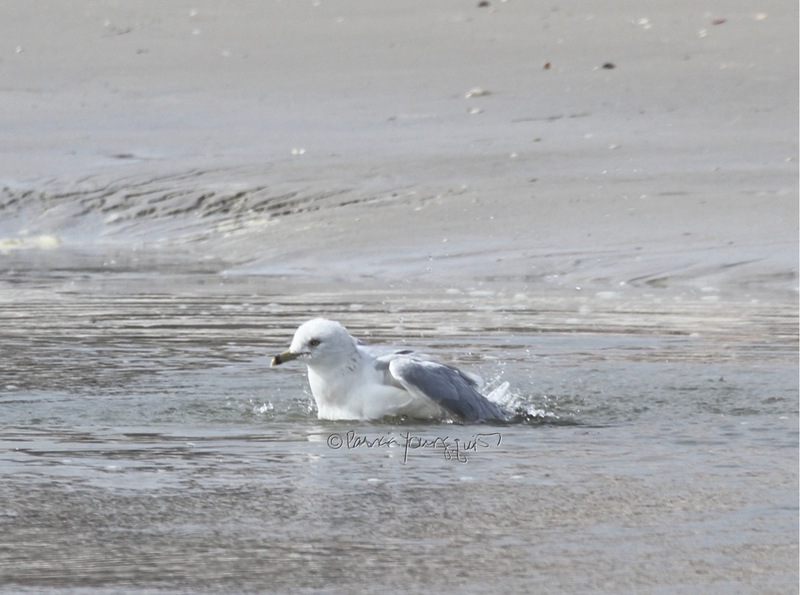 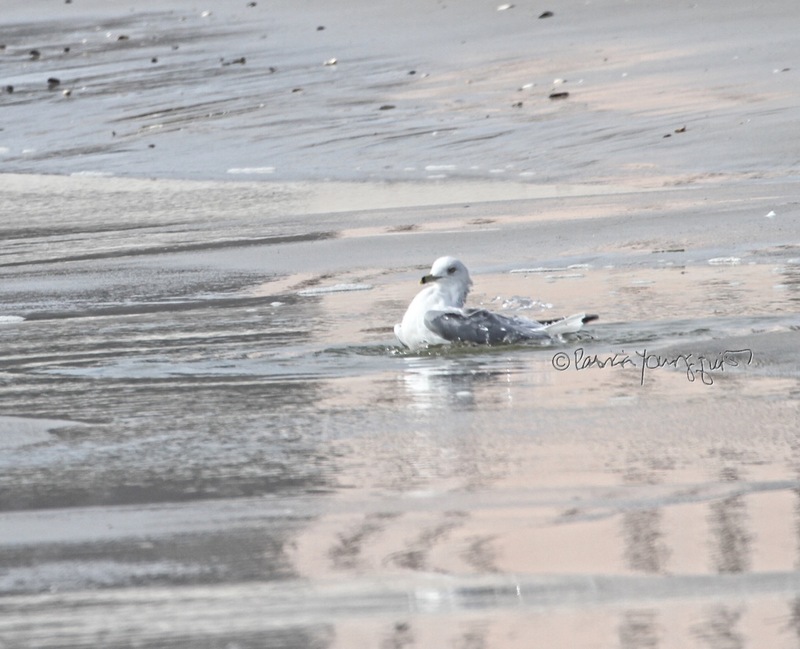 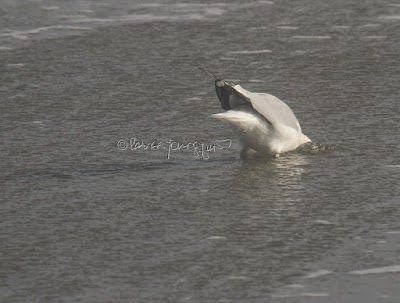 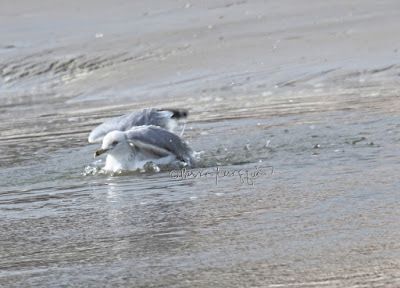 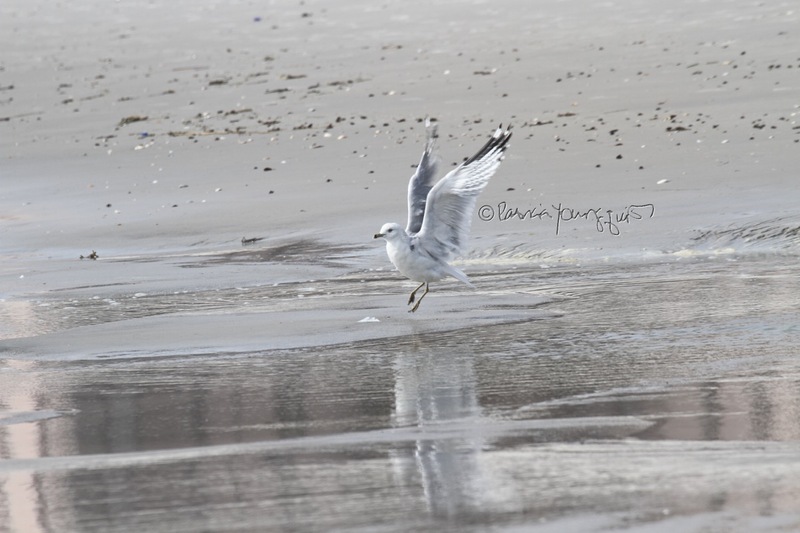 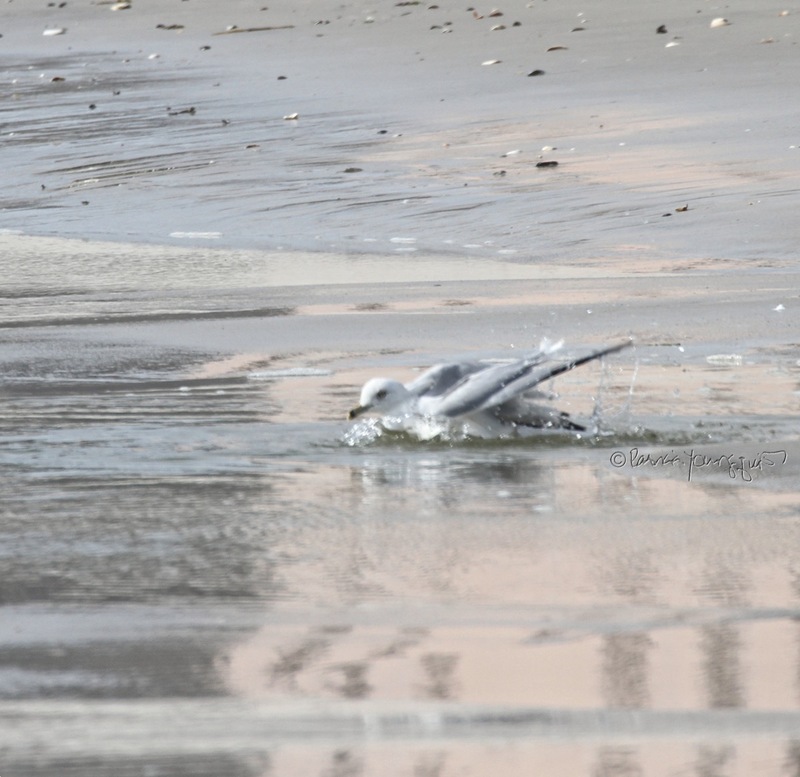 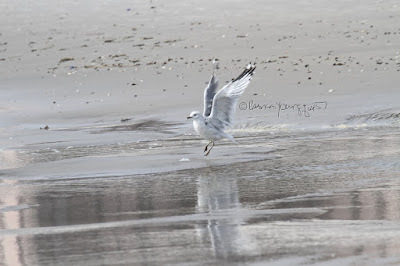 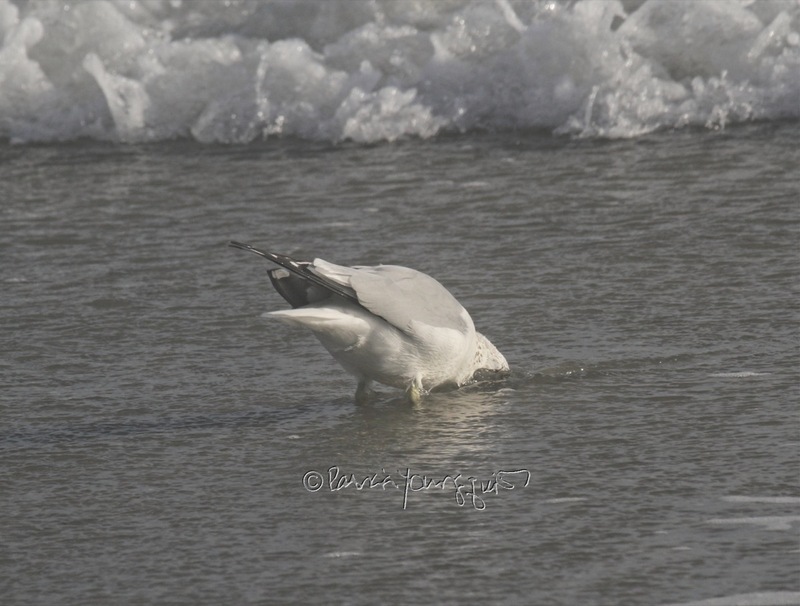 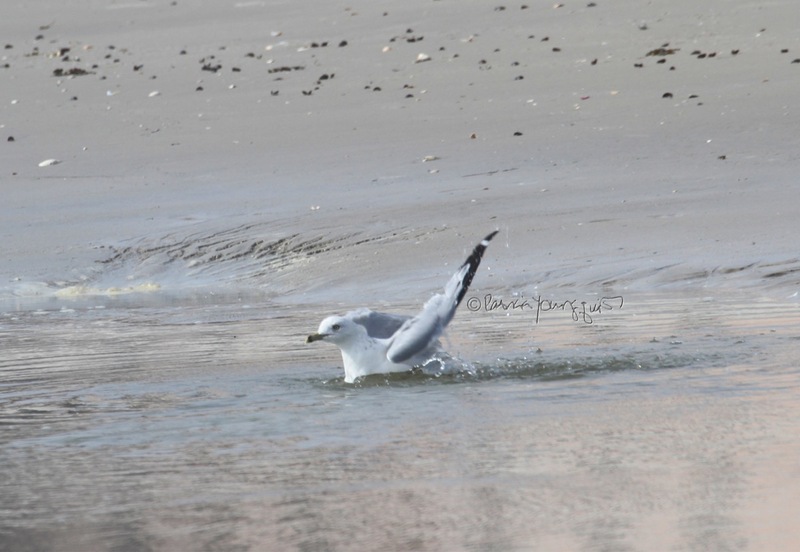 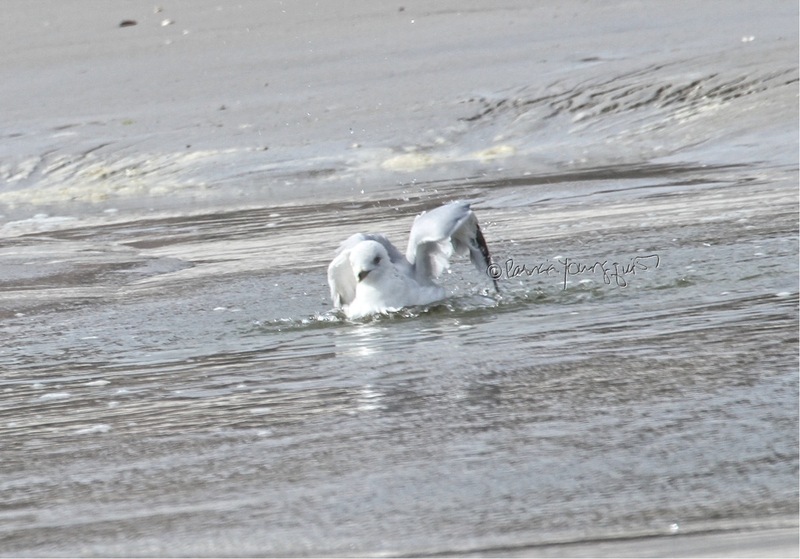 The five photos atop this entry (as well as the four photos below) features a gull bathing in there. 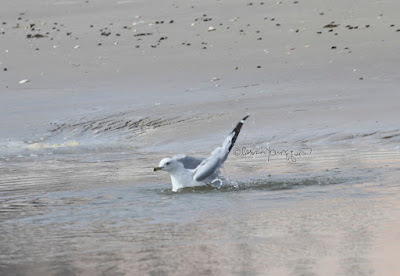 In all my years of observing the antics of seagulls, such as their stealing food from the baskets of sunbathers who had left their beach gear abandoned in order to swim in the ocean; or seeing the gulls standing on one leg to minimize heat loss, which is something I wrote about in a 2013 entry here on Blogger (you may reference my post by clicking here); I never did I see them bathing in the ocean, then again, I've never been to the ocean in October, and I think the water is warmer after being heated up all summer long. 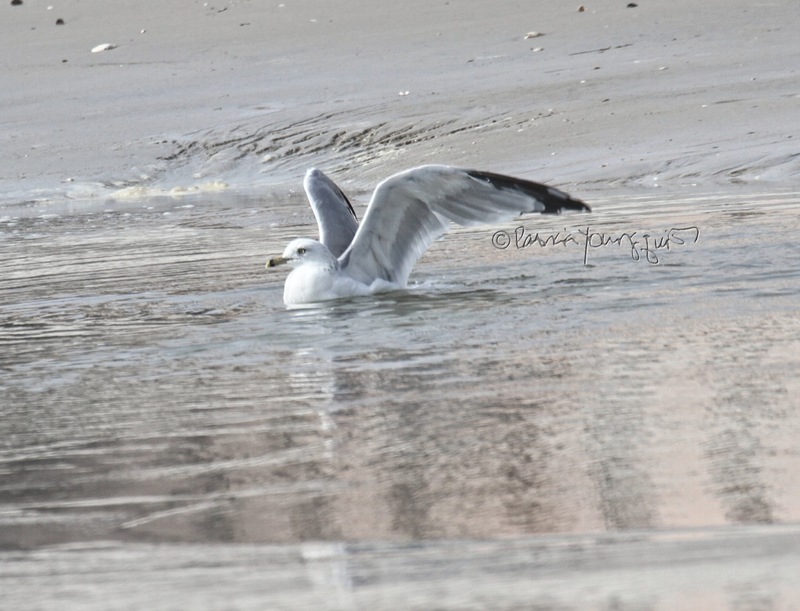 I thought of the Bobby Darin song, Splish Splash, which is posted via a You Tube video directly below. 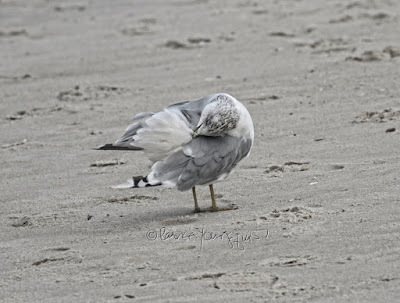 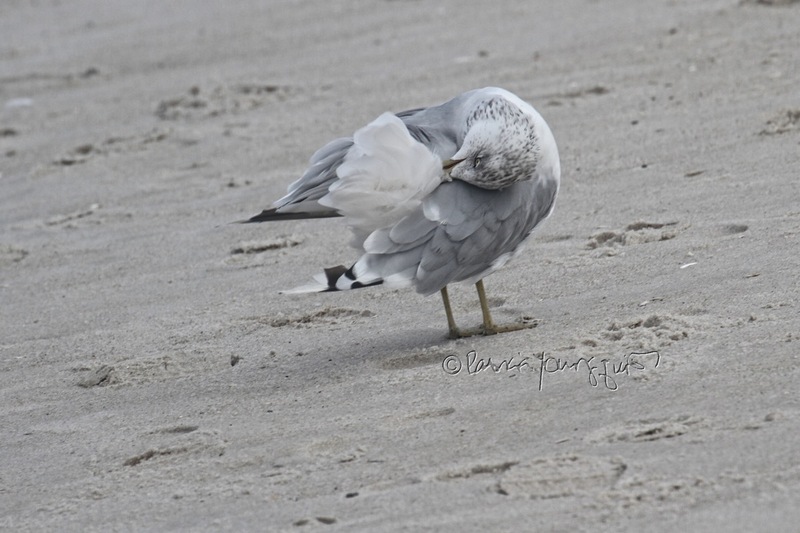 All kidding aside, I researched my theory re why seagulls were bathing in the ocean at this time, but could not find any information on why seagulls were "splish splashing" in the Atlantic. 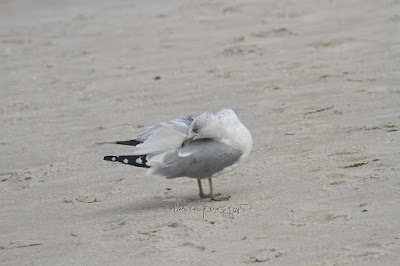 I'm wondering if maybe they did this with the same motive of song birds? 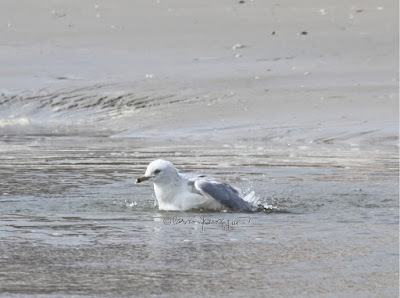 According to a web-page for thespruce.com, "Many songbirds will bathe in water before engaging in extensive preening, splashing around to moisten all their feathers. 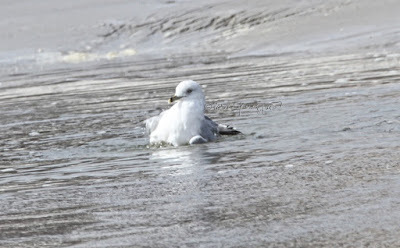 Bathing removes dust, dirt and parasites from feathers before birds work to put each feather into its proper position." 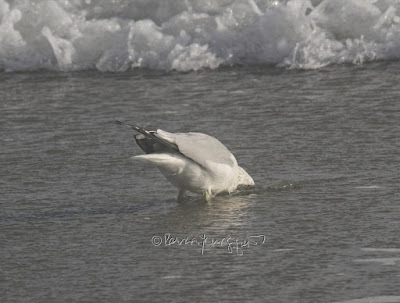 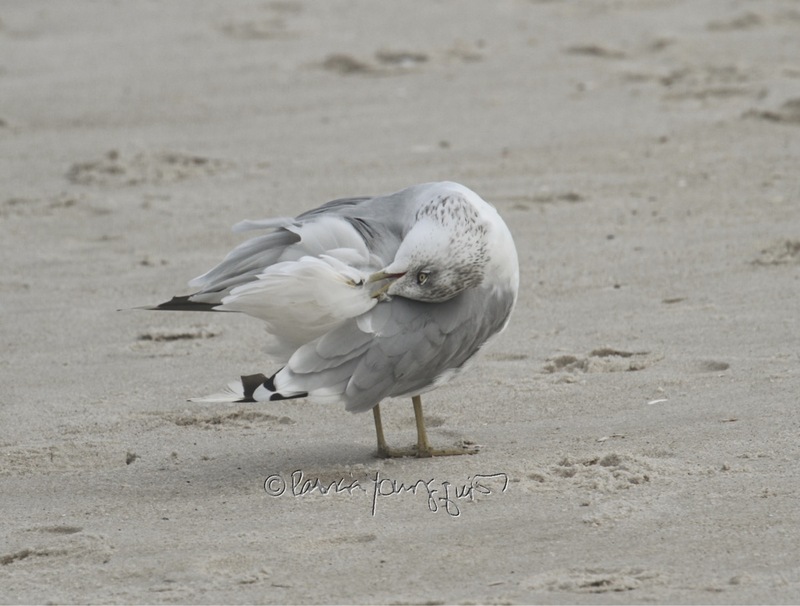 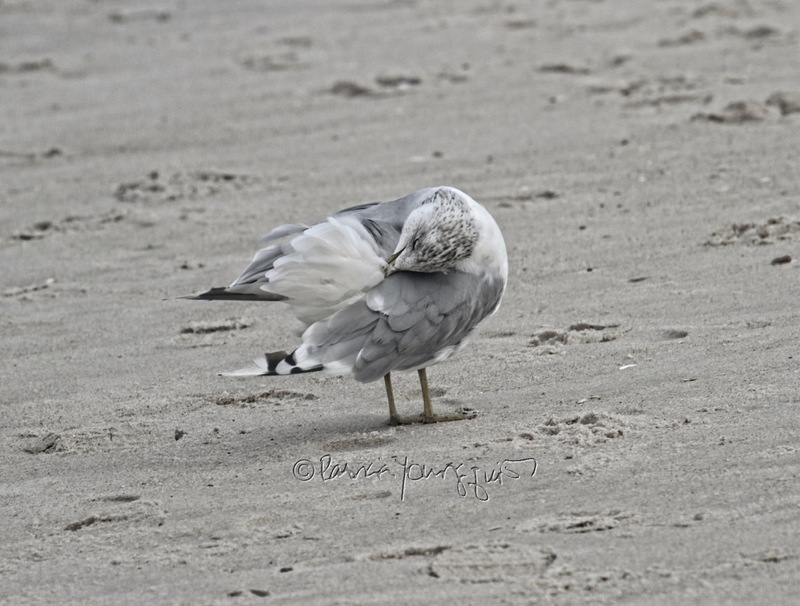 It's just a guess, for in addition to seeing seagulls bathing, I saw a number of them preening as evidenced in the next set of pictures. 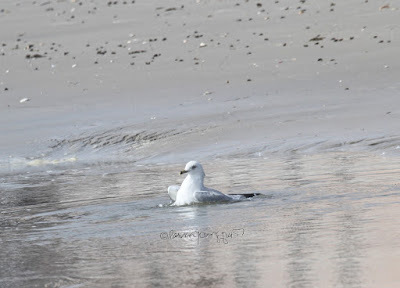 But even though, I could not find any specific info on seagulls bathing in the ocean, I did discover a few facts that I never knew re this bird type; and I'll share them with you in my next Tuesday's Truths series, which will be on October 17th 2017 (which is three days after today); please stay tuned.